IT WAS a case of sticking with what works for Gladstone Regional Council after it approved the design and construction to build a pump track at Boyne Island's Bray Park. 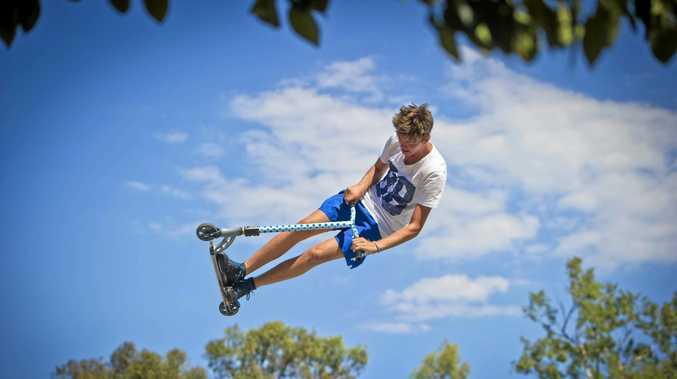 World Trail Pty Ltd, the company behind Gladstone's award-winning pump track located at Memorial Park, had its tender submission approve at Gladstone Regional Council's recent general meeting. Pump tracks are designed for bicycle riders but can also be used for skateboarders, in-line skaters and scooters. The pump track will be built in conjunction with an upgrade to the existing skate park at Boyne Island. Bray Park skaters tearing it up: This video of an Observer reporter chatting to kids at Bray Park is an absolute classic. Watch till the end! One condition of the construction was World Trail must collaborate with Convic Pty Ltd, who were the invited tender to upgrade the skate park. 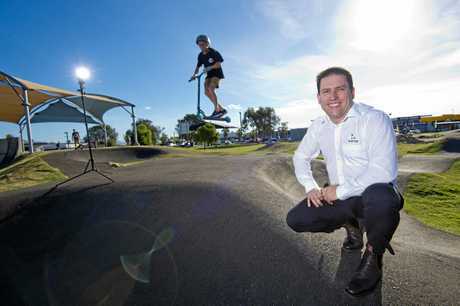 The Gladstone-based pump track had been an idea of Gladstone Region mayor Matt Burnett long before he was elected to council's top job and he was satisfied World Trial would produce another high-quality product. "We went through the usual process of calling for expressions of interest, but instead of getting World Trail to do the skate park and the pump track we got the best people to do the skate park and believe we got the best people to do the pump track," Cr Burnett said. "What we're doing at Boyne Island is different to what we've done in Gladstone. "Gladstone already had a well-established skate park. In Boyne we're rebuilding the skate park and building the pump track together so that's why we went with two separate tenders. "We got the best contractor for each project even though they're going to be interconnected. "They know they've got to work well together and have ensured us they will, but I'm very excited World Trail will be doing the pump track and from what I understand the company (Convic Pty Ltd) who are doing the skate park are best as well so we should end up with one excellent product for Boyne/Tannum." Cr Burnett said the Bray Park design will differ from the Memorial Park pump track. "It will be a little bit different to Gladstone and that's what we want - we don't want it to be exactly the same but it will be just as exciting for the users at Boyne/Tannum," he said. "It will bring people in from all over to come and visit it which has proven to be the case in Gladstone. "It's the same company so they know what they're doing and are now probably leading Australia in these projects." Majority of funding for the two projects will come through the Queensland Government's Works for Queensland program, which will contribute $885,000 out of an expenditure cost of $985,000. GRC's imput was $100,000 from the 2017/18 budget. The Works for Queensland funding has already delivered a number of projects for the Gladstone region including the Lions Park redevelopment, Tom Jeffrey Park at Agnes Water, the multi-purpose sporting facility at Calliope and the Centre of Excellence at Marley Brown Oval. Works for Queensland funding allows eligible local government's to receive a base allocation of $1 million, with an additional notional allocation based on unemployment data. Gladstone received $5,990,000 for nine projects for the 2017-19 funding allocation. 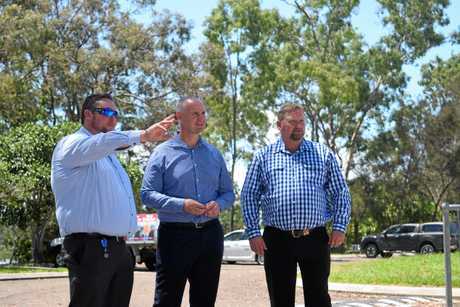 "It's been mostly funded through our Works for Queensland program where the Queensland Government allocates money to councils based on population and unemployment," Cr Burnett said. "We're allocated money based on those figures and our allocation we've used for certain things. "The first time around we used a lot of it for parks such as Lions Park and Tom Jeffrey Park and this time we allocated a lot for sports - the Calliope Multi-purpose Sports Facility, the Centre of Excellence at Marley Brown Oval... it's a parks/sports at the same time so it's got the best of both worlds. "We wouldn't be able to do this without the Works for Queensland funding which I've repeatedly said is the best program the state government have ever introduced or delivered for local government since I was elected in 2000."